Virtual Coaching has expanded our leadership development offerings worldwide, allowing for clients to get the very best coaching experience no matter their location. 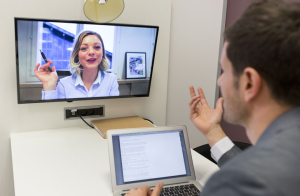 By using internationally-recognized video conferencing technologies, our virtual engagements are real, personable, and impactful. They are highly personalized to the professional and their specific leadership and organizational goals. We find connection to be critical during these engagements and our coaches are trained and experienced in providing a high-quality coaching experience by phone or video conference. For more information, contact Shelley Potente at spotente@the-leaders-edge.com.